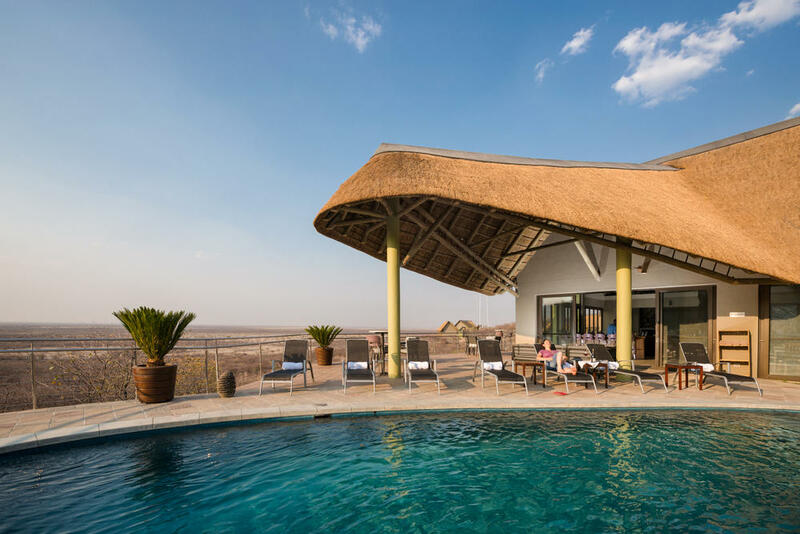 Located on a hillside in northern Namibia with sensational views over the flat savannah, the modern Safarihoek Lodge offers stylish accommodation in the midst of this arid wilderness. 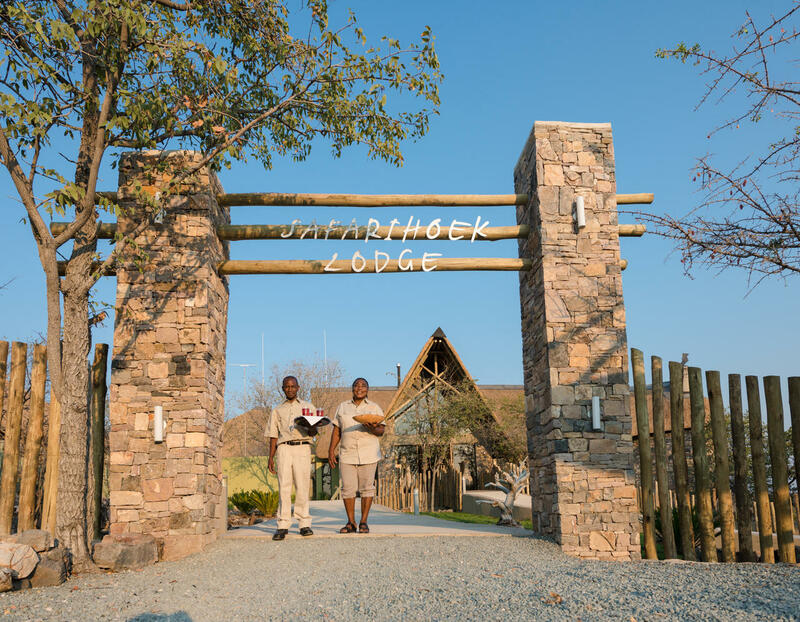 Safarihoek Lodge is fantastic for those looking to escape the crowds and reconnect with nature in a remote, undisturbed location. 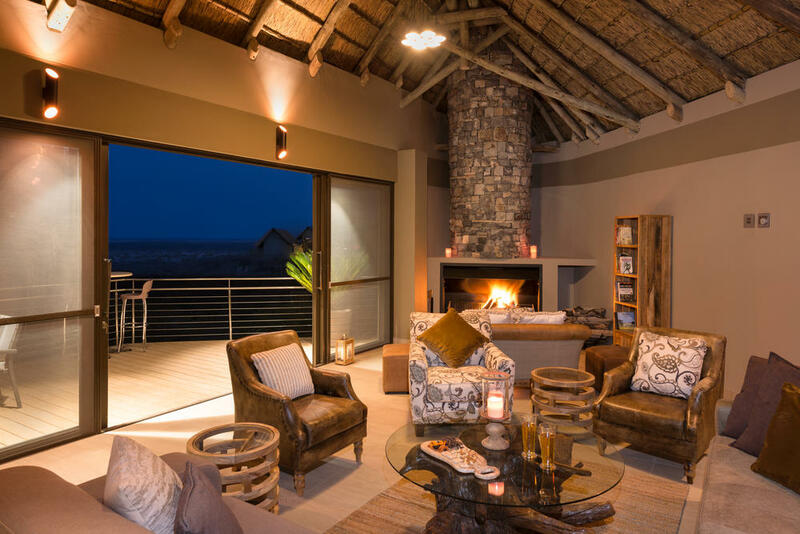 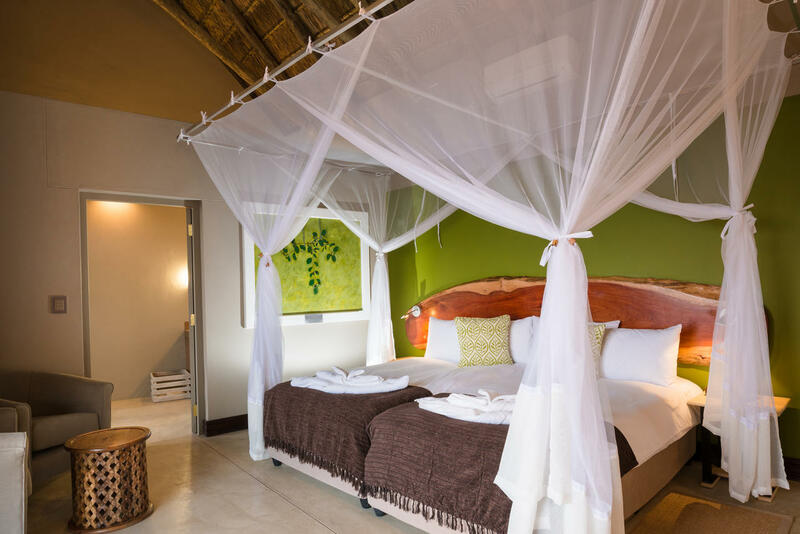 The lodge offers 11 raised and thatched chalets, each with private decks and outstanding panoramas over the surrounding plains. 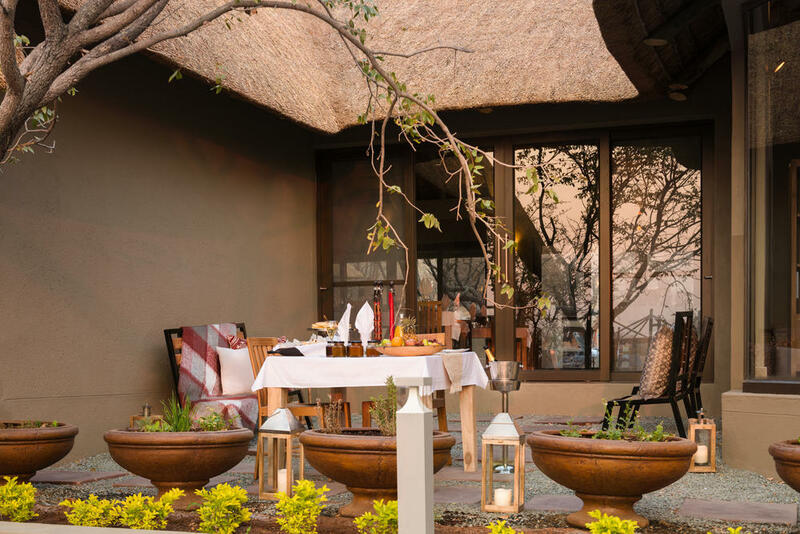 There’s also an outdoor seating area centred around a campfire, the ideal place to watch both passing wildlife and mesmerising sunsets. 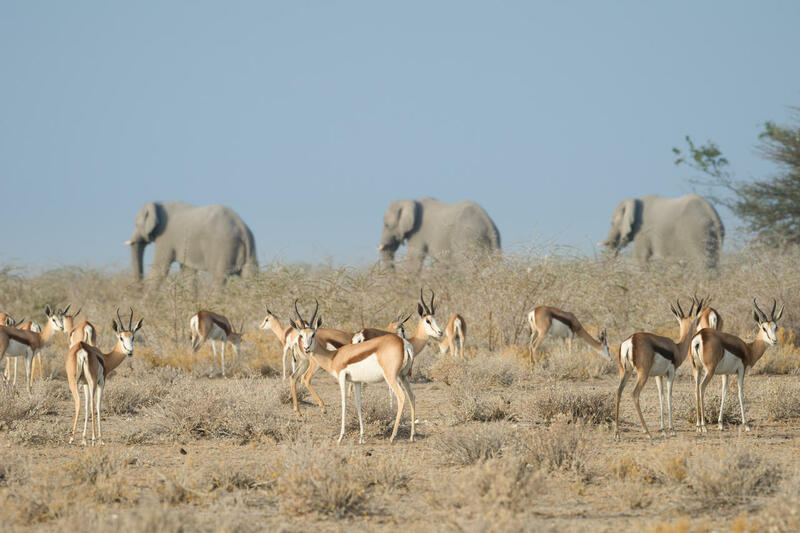 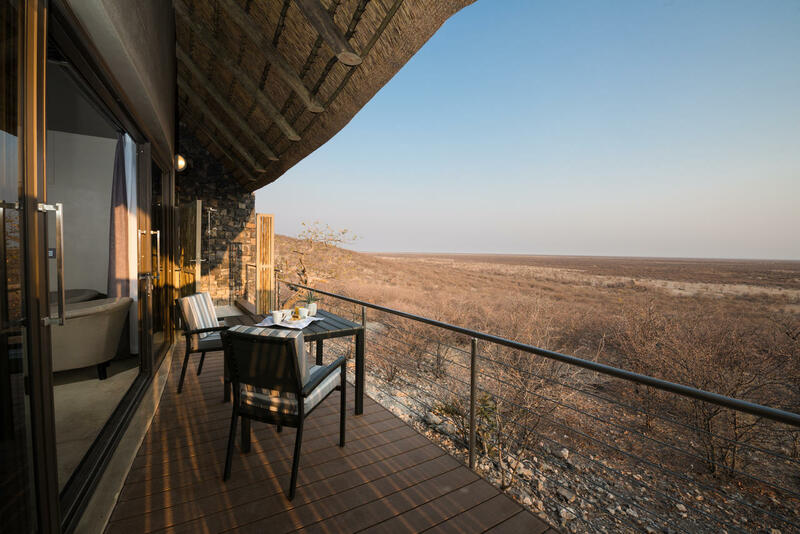 The lodge sits within the Etosha Heights Private Reserve just outside the renowned Etosha National Park, one of the country’s most prolific game areas. 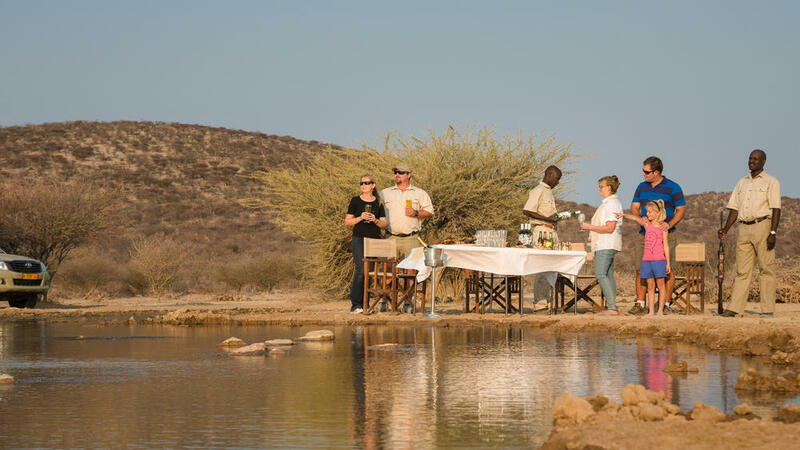 Wildlife roams freely across this landscape, and you can expect amazing encounters with a variety of species including mountain zebra, lion, elephant, giraffe, numerous antelope and both white and black rhino. 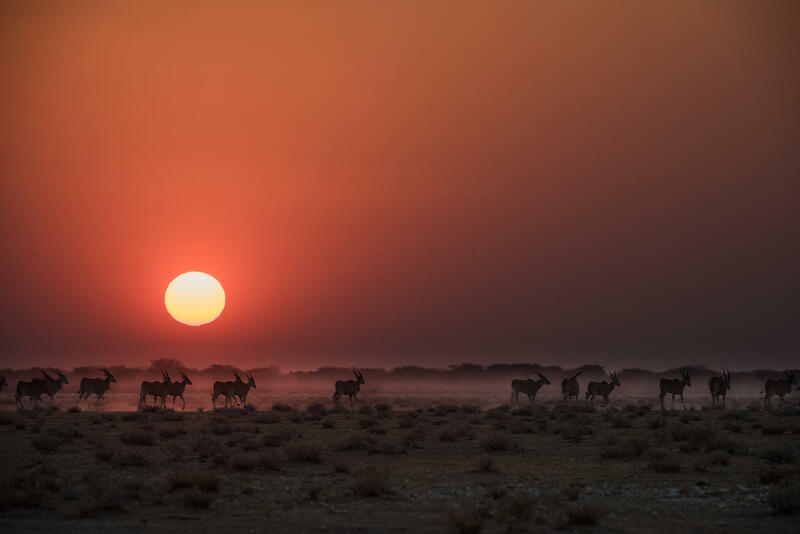 As well as day and night game drives in the reserve, you can spend time in the lodge’s photography hide getting incredible close-up shots of the region’s diverse wildlife.